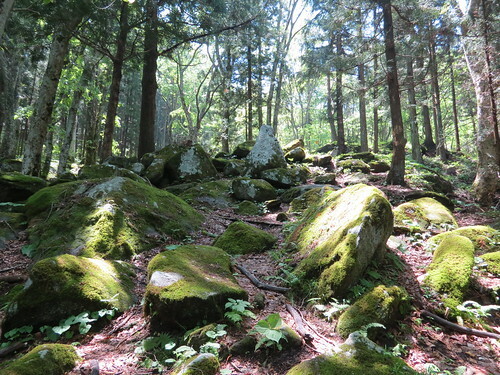 I woke up in a land full of fairytales – Tono (遠野) in Iwate Prefecture. 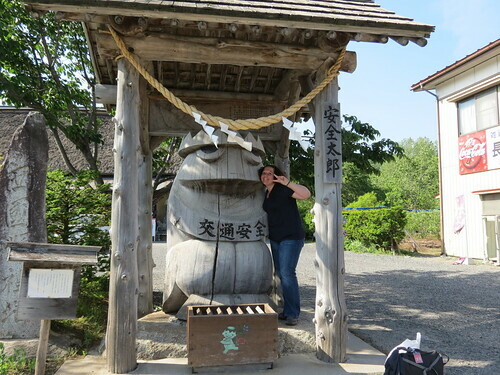 My guide, Matsumoto-san, came to pick me up from my hotel around 10:30am, and she brought with her a fantastic taxi driver, Suzuki-san, who was tasked with taking this crazy gaijin and her guide on a monster hunt (and with protecting us from bears). 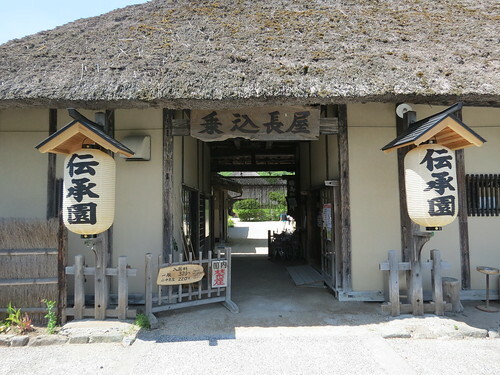 Our first stop was Gohyaku Rakan (五百羅漢). 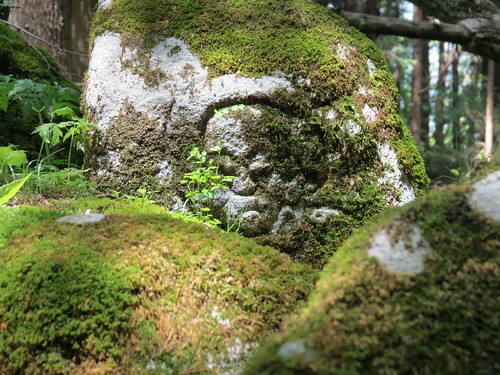 Gohyaku Rakan, meaning ‘500 Arhat’ (Arhat is the ‘perfected person’ who has attained nirvana in Buddhist belief), is an incredible place filled with hundreds of moss-covered rocks which have Buddhist images carved into them. 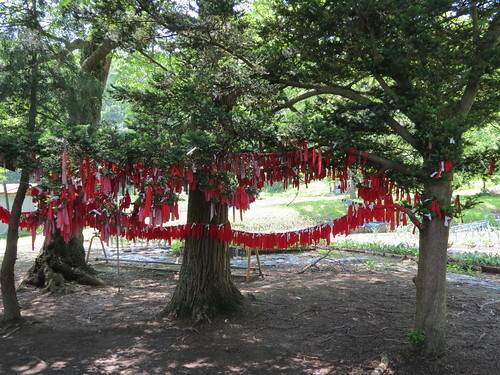 They were created over 200 years ago as a way of pacifying the spirits of the thousands of villagers who died in the Great Tenmei Famine (天明の大飢饉) (1782 – 1788), during the Edo Period. About 300 of the 500 images still exist today, and we decided to climb up through them. 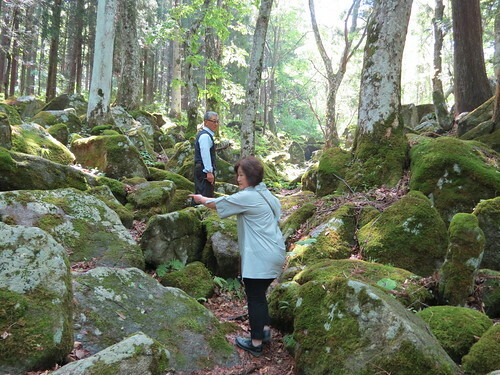 When I say ‘we’, I do of course mean the fantastic Suzuki-san as well as myself and my guide! Matsumoto-san & Suzuki-san lead the way! 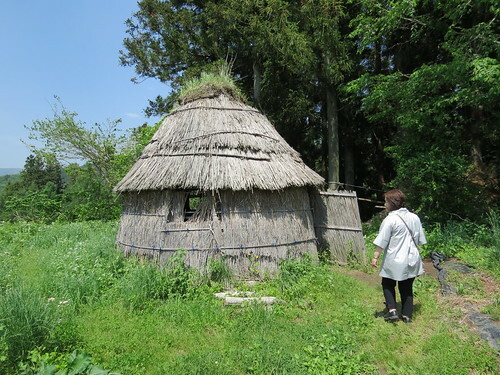 I couldn’t believe Gohyaku Rakan – it was just incredible! 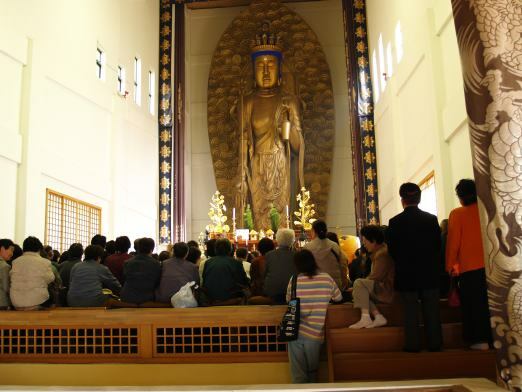 There are other Gohyaku Rakan in Japan, with the most famous being in Saitama at a temple called Seiya-san Muryoshuji Kita-in (星野山無量寿寺喜多院). 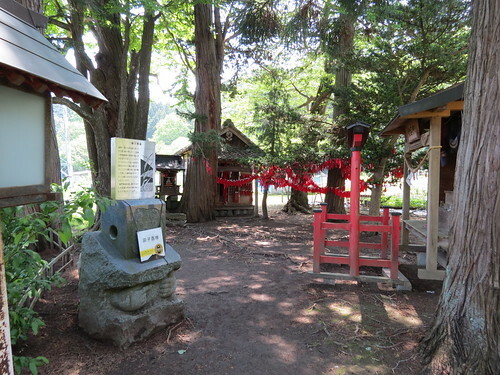 Next, after clambering back down and, thankfully, not being eaten by bears, we went to a shrine called Unedorisama Shrine (卯子酉神社). 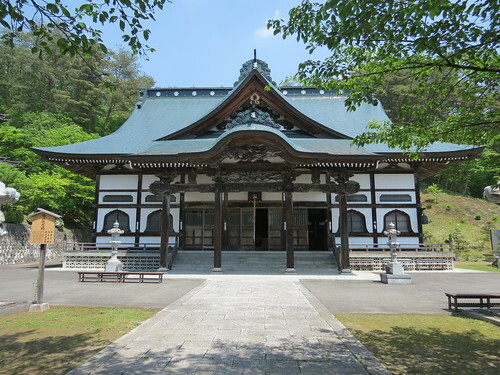 This shrine is dedicated to the match-making deity Unedori. 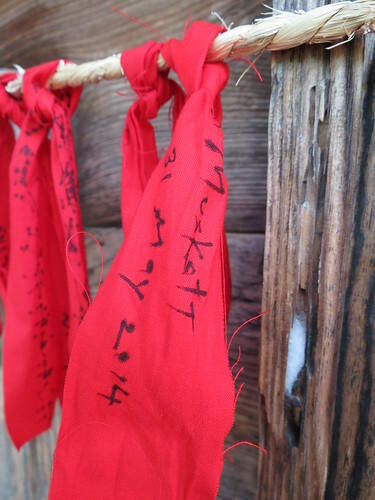 It is said that if you successfully tie a strip of red cloth (on which your name is written) using only your left hand you will meet your true love. 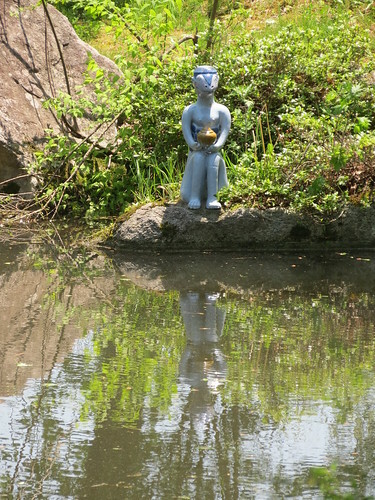 Continuing the search for kappa (河童), the mischievous ‘river children’ Tono is so famous for, we headed to Taro’s Pond (太郎淵), where I spotted a sad looking blue kappa watching his own reflecting in the water. The next place my guide took me wasn’t on my list, but I’m so grateful to her for suggesting it: Takashimizu Observation Deck (高清水展望). We drove up to this observation deck and hopped out to take a look. I felt like I was looking out at the whole world, and yet it looked like another world, not the one I was used to. Wow. Simply wow. 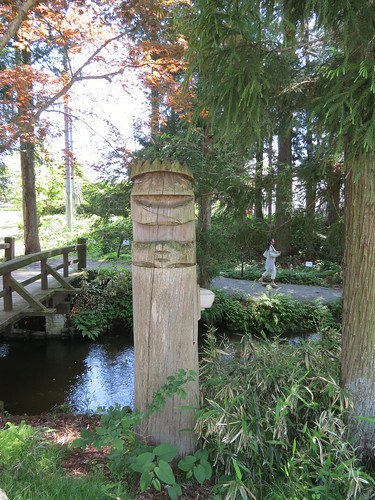 If I remember rightly, the statue was carved from one tree, and I seem to remember one man did all or most of the carving. 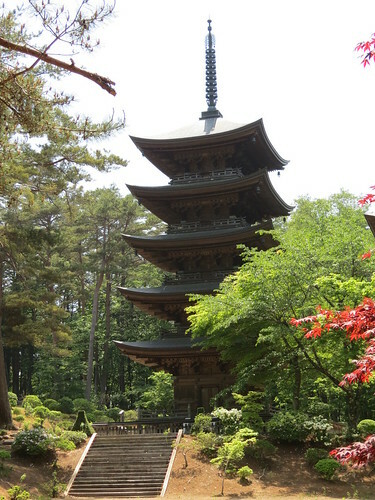 The temple grounds were quite large, and there was a five storied pagoda as well as other buildings and statues. 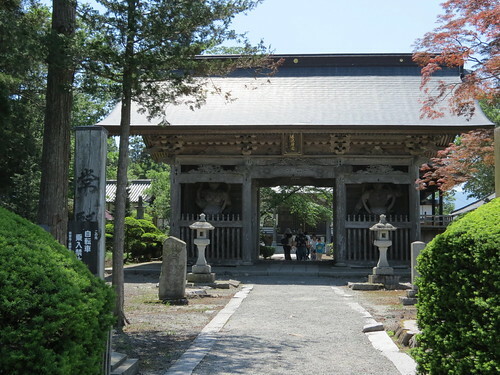 Fukusenji (福泉寺) – doesn’t look big enough to hold that Buddha! 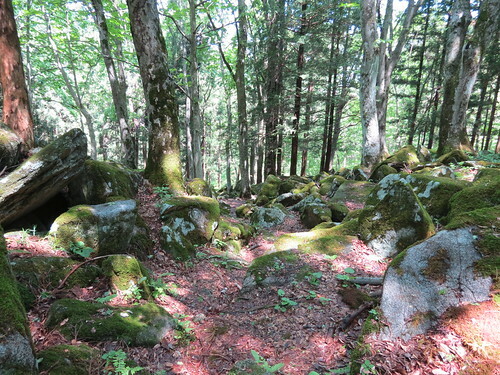 My guide had clearly planned the day really well, and she had lots of ideas of places to visit. It was brilliant to not only visit the places I knew I wanted to see but to also check out some other historically and culturally important places. 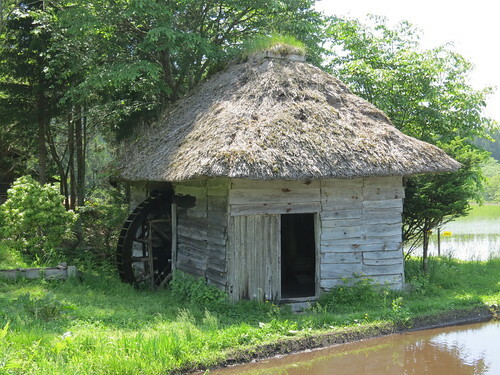 Our next stop was the Yamaguchi Water Wheel (山口の水車小屋), a small thatched mill set in vast pastoral fields. 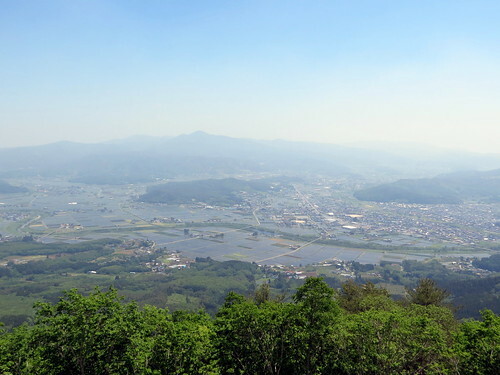 Across the way was Yamaguchi Dendera-no Field (山口のでんでら野). 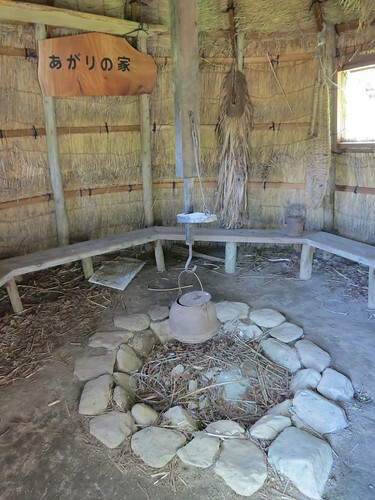 A ‘dendera-no’ is a small hut which was built far away from any houses, where the elderly were brought to die once they were seen as no longer productive. 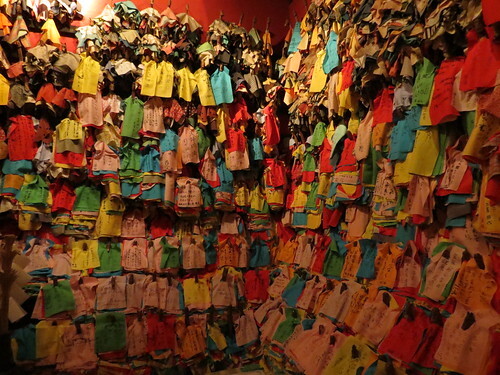 The atmosphere in the Dendera-no Field was sad and lonely – I couldn’t imagine a Japan where the elderly were dumped like this. 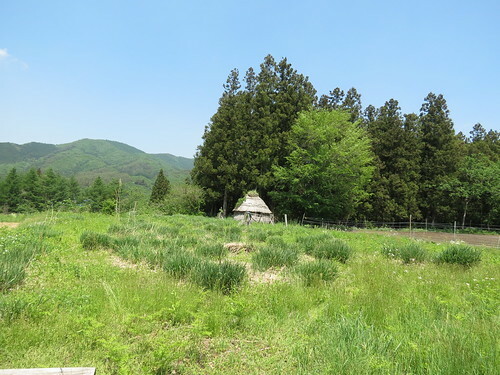 Japanese society is one in which family is very important, and children live at home for a long time, feeling a responsibility towards their parents and grandparents. The area of the Dendera-no is apparently home to a number of ghosts. 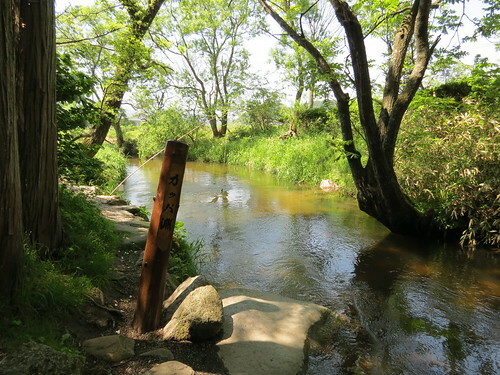 Back on the trail of kappa, we next stopped by Jokenji (常堅寺) and Kappabuchi pool (カッパ淵). 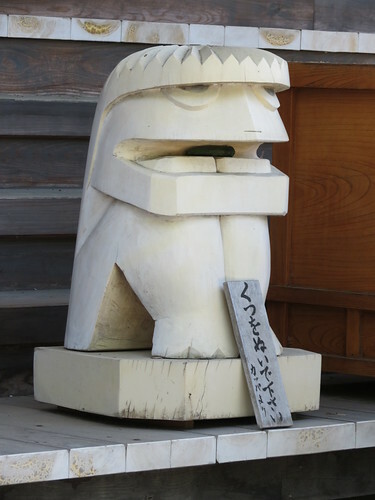 Jokenji is known for its unique kappa guardian dog – the Kappa Komainu. 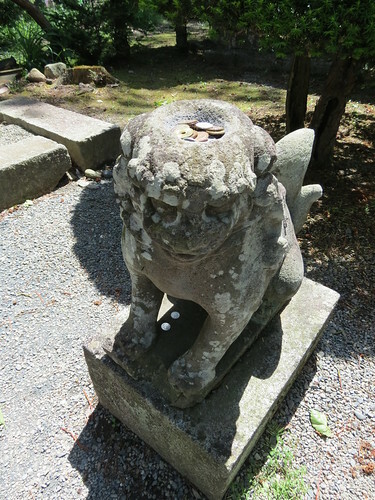 The head of the statue has a depression for holding water, although as you can see in the image above, it also holds coins! 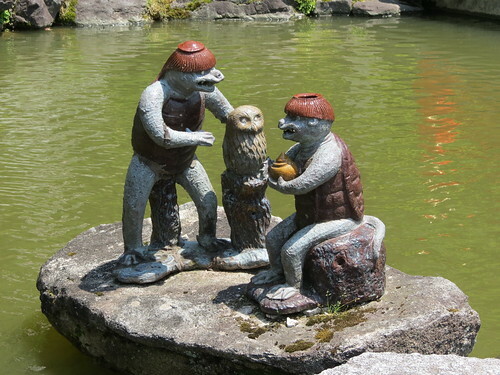 According to legend, the Kappa that lived in the river to the south of the temple once helped extinguish a fire by pouring out the water from the depression on top of its head, and so this statue was created as a sign of appreciation. 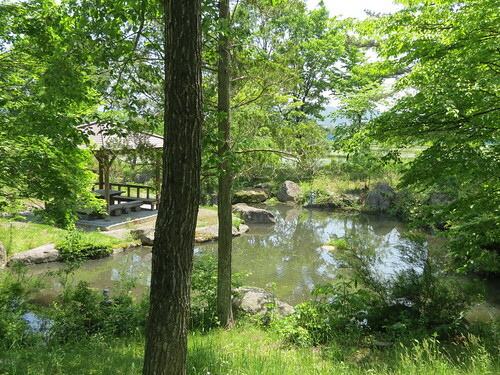 Behind the temple is a pool, Kappabuchi, said to be home to lots of kappa. Catch a kappa with a cucumber, apparently! 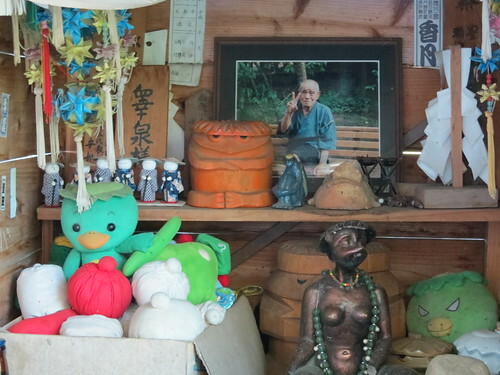 A shrine to the kappa man! 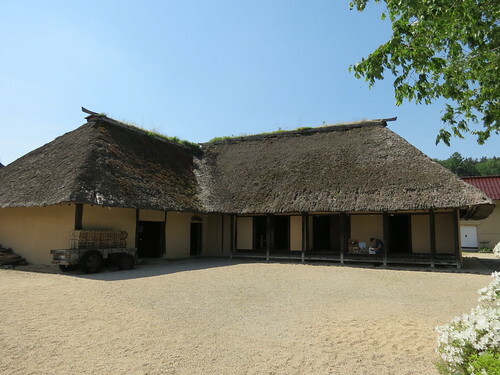 Our final stop of the day was Denshoen (伝承園), a group of traditional buildings including the Kikuchi Family Magariya (an L-shaped farmhouse which is a national important cultural property) and the Kizen Sasaki (佐々木喜善) Memorial Museum. 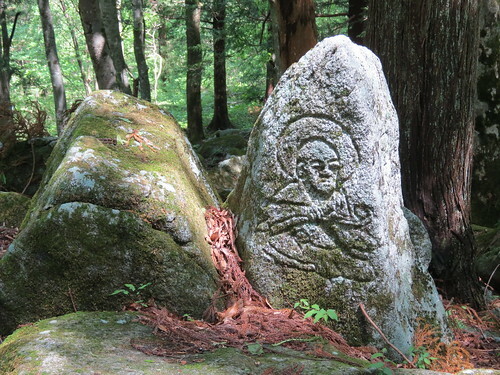 Sasaki was a Japanese folklorist, sometimes known as the Japanese Grimm. Luckily we arrived at Denshoen just in time for story time! 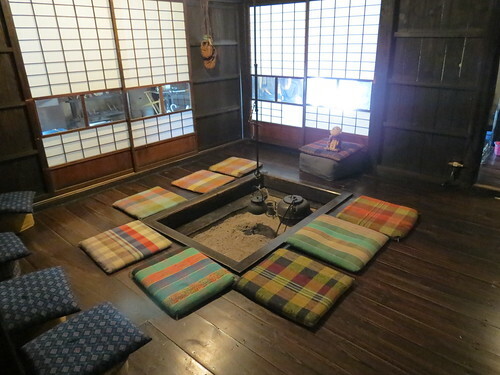 Everyone gathered around the iori hearth on cushions on the floor to listen to the storyteller. Although I couldn’t understand much of what was being said, listening to the stories was like listening to Shakespeare. I didn’t try to understand, I just listened to the music of the words as if they were poetry, and the soft, smooth sound of the storyteller’s voice. 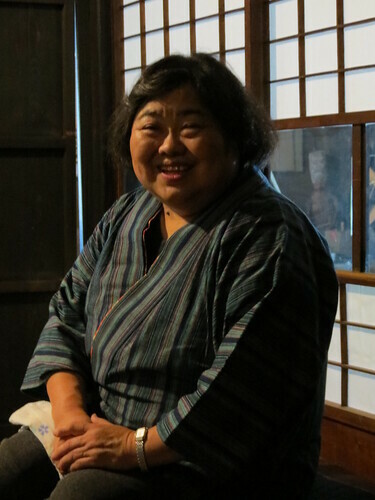 I’m sure she spoke in a thick Tohoku dialect too, but I wouldn’t have known. The storyteller captivated me. She had the kindest face, full of stories. 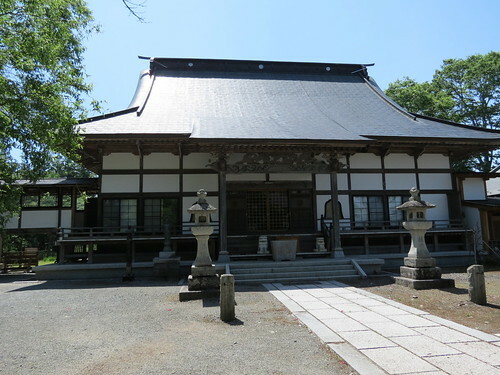 Another attraction of Denshoen is the Oshirado Hall which enshrines 1,000 Oshira-sama deities. Once upon a time there was a poor farmer. He has no wife but did have one beautiful daughter. He also had one horse. The daughter loved the horse, and at night she would go to the stable and sleep. She and the horse eventually became husband and wife. One night the father learned of this. The next day without saying anything to the daughter, he took the horse out and killed it by hanging it from a mulberry tree. That night the daughter asked her father why the horse was not anywhere around, and she found out what he had done. Shocked and filled with grief, she went to the spot beneath the mulberry tree and cried while clinging to the horse’s head. The father, disgusted, took an axe and chopped off the horse’s head from behind. Then, the daughter, clinging to the horse’s head, flew off into the sky. 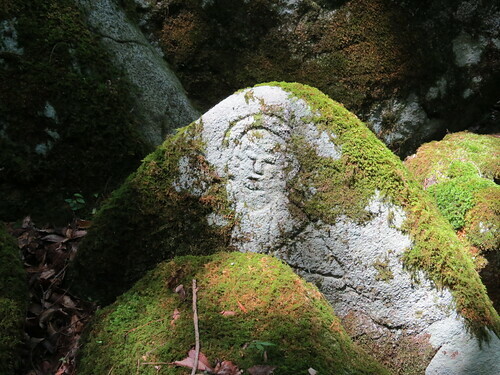 It was from this time on that Oshira-sama became a kami (deity). 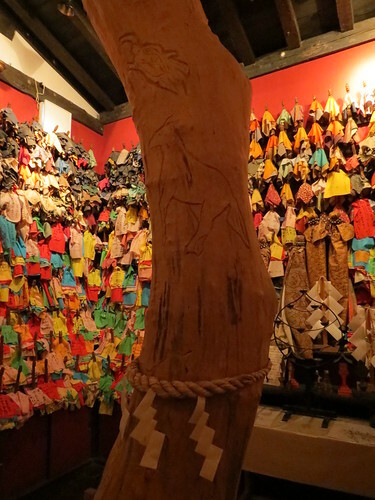 The image of this kami is made from the mulberry branch on which the horse was hanged. 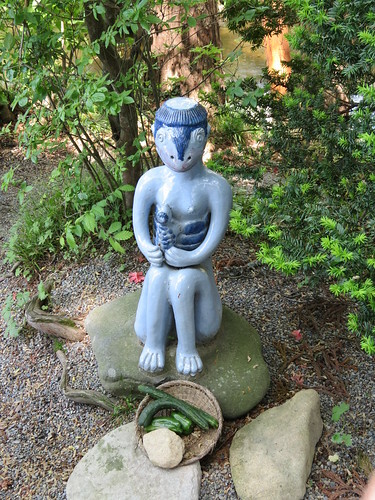 Oshira-sama is prayed to now as a goddess of fertility, both for crops and for women. That’s all there is! The end. 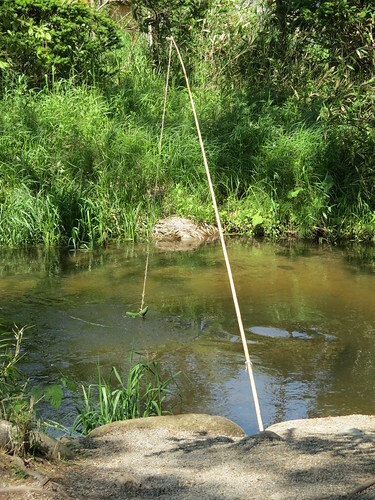 I finally caught a kappa! « One Week Until the HYPER JAPAN Christmas Market!